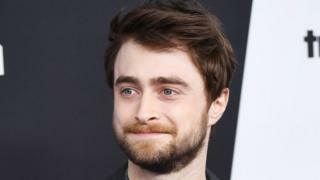 Broadway beckons for Daniel Radcliffe, who will return to the New York stage later this year in a new play inspired by a disputed magazine article.The Lifespan of a Fact will see the Harry Potter star play a fact-checker tasked with authenticating an essay about a 2002 suicide in Las Vegas.Radcliffe will appear alongside Bobby Cannavale and Cherry Jones in the play, which begins previewing in September.The 28-year-old last acted in New York in 2016 in James Graham's play Privacy.Since then he has appeared in London in Rosencrantz and Guildenstern are Dead at the Old Vic theatre. His New York return follows the Broadway launch of Harry Potter and the Cursed Child - a production he said he had yet to see last year. Radcliffe starred in eight Harry Potter films between 2001 and 2011, during which time he made his stage debut in Peter Shaffer's Equus.His other Broadway productions include The Cripple of Inishmaan and the musical How to Succeed in Business Without Really Trying.The Lifespan of a Fact will begin previewing at New York's Studio 54 theatre from 20 September and runs until 13 January.Harry Potter and the Cursed Child goes into this Sunday's Tony Awards with 10 nominations, including best play. » Would you be a Harry Potter Mastermind?